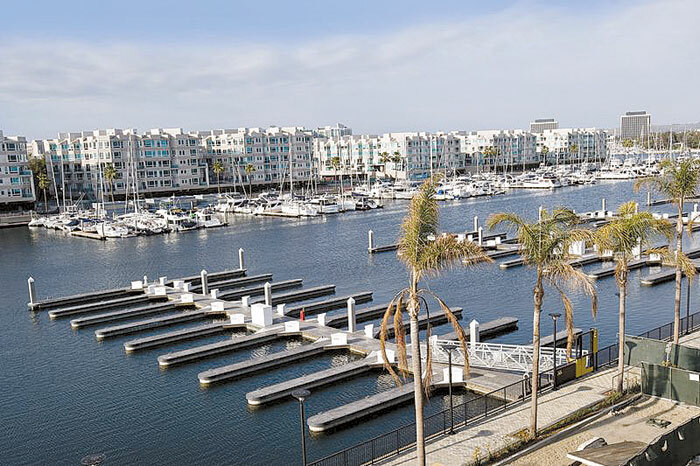 MARINA DEL REY — AvalonBay Communities Inc. has announced the grand reopening of its newly renovated marina: The Harbor at Marina Bay. Located in Marina del Rey, the Harbor at Marina Bay is conveniently located near LAX, Hollywood and multiple entertainment venues. The Harbor at Marina Bay offers new docks, surfaced with patterned stamped concrete. They offer updated amenities, including a pumpout station for every slip, rounded finger ends, new electric and sewer systems, fire safety stations and new dock boxes with innovative features. The Harbor at Marina Bay offers 100-percent ADA-compliant guest slips. The marina’s slips accommodate boats from 22 to 46 feet in length — and the marina’s 11 end-ties can accommodate larger yachts from 50 to 90 feet in length. Boat slip renters will have access to parking, free Wi-Fi, restrooms, showers, metered water and electricity with a dock box. There is also a monthly newsletter for slipholders. For additional information about the Harbor at Marina Bay or about renting a slip, call Mark Omel, marina manager, at (310) 821-2542 or visit TheHarboratMarinaBay.com. Office hours are 8 a.m-12:30 p.m. and 1:30-5 p.m. Saturday-Wednesday. The office is closed Thursdays and Fridays.